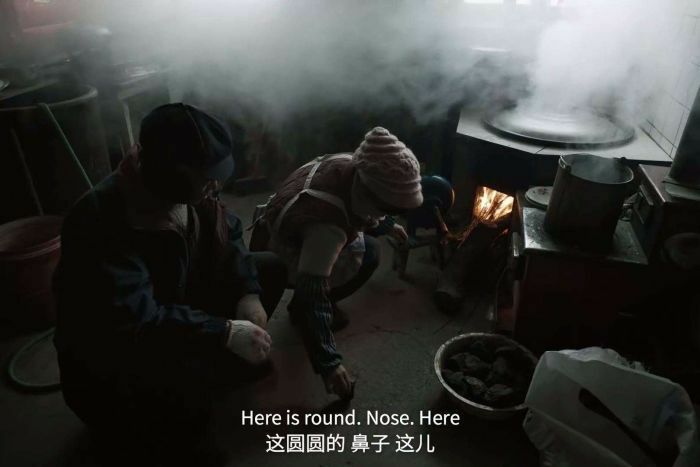 A video promoting the children’s cartoon Peppa Pig has gone viral and become a flashpoint on Chinese social media, spurring millions of netizens to reflect on the divide between the country’s rural poor and its wealthier urban dwellers. An upcoming movie in honour of the Year of the Pig marks a triumphant return for the cutesy British cartoon after it was blocked on a popular Chinese streaming platform last year and labelled “gangster”. 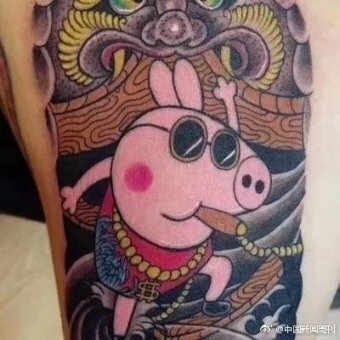 Peppa Pig then became an unlikely counter-culture icon among adults, with some even going so far as getting inked with pink pig tattoos. But director Zhang Dapeng’s five-minute promotional video What’s Peppa? has made a splash ahead of the release of the film Peppa Pig Celebrates Chinese New Year for a different reason, and has even moved some social media users to tears. He asks his three-year-old grandson, who lives in a big city, what gift he wants for Chinese New Year — and his grandson responds: “Peppa”. Perplexed, and cut off from the internet due to lagging development in rural areas, the elderly man consults a dictionary before going from door to door trying to figure out what “Peppa” is. The moment when the grandson was shown the Peppa Pig gift in the video. 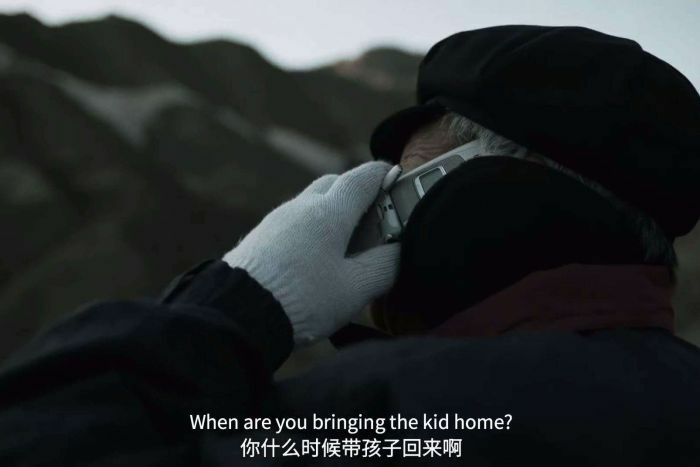 The producer of the movie from Alibaba Pictures, Yan Lu, said the company wanted to use the promotional video as “a cute way to remind people” there were both elderly people and young children left behind in China’s rapid development, according to state media outlet the Beijing Evening Post. 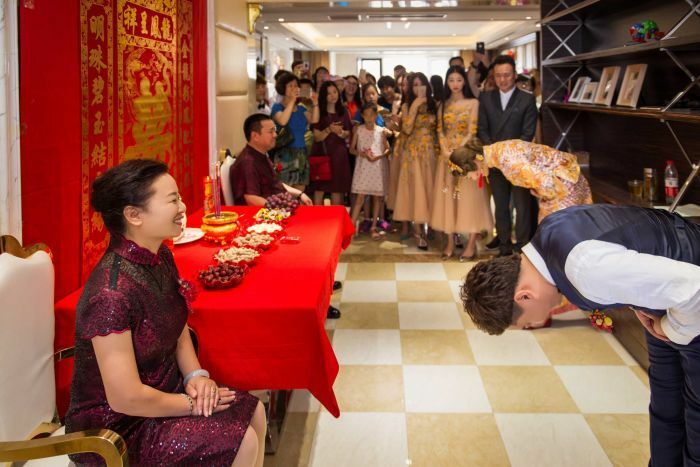 The video sparked a flurry of comments on Weibo, China’s Facebook, questioning the use of a “foreign pig” to celebrate a Chinese holiday while revealing some deeply-rooted social divides. “Although it’s just a trailer, there are so many sad stories in our real life like this,” one netizen commented. That sentiment was echoed by social commentator Yiming Liu, who told the ABC the grandfather’s tale hit a sore spot. “The story reflected a bunch of social problems, including the one-child policy, rural-urban migration, and discrimination between urban and rural residents,” Mr Liu said. China’s rapid urbanisation over the past 40 years saw the world’s biggest flow of migration from rural areas to urban centres. According to the World Bank, China’s rural population dropped dramatically from 84 per cent in 1960 to 42 per cent in 2017. Young men and women moved to the cities seeking out new opportunities, while their elderly parents — nearly 50 million people — were left behind. Mr Liu said the social benefits from China’s growth often failed to reach migrant workers in cities, who could not access welfare outside their home towns. “Basically the majority of wealth is owned by high-level government officials and business owners, but the majority of the society has only owned a tiny part of it,” he said. In China, a city is tiered based on its economic development and population, prompting many to move to first or second-tier cities. But Mr Liu said the imbalance of development between different areas caused a huge geographical discrimination issue. “Residents of big cities are entitled to much better welfare systems and the benefit of development, that’s why they have privileges,” Mr Liu said. Those who had earned more money by moving to bigger cities were more highly regarded — and felt superior to their rural peers — when they returned home, he added. In a culture where respect for parents and grandparents is paramount, China’s older generation often regard having children as a way to ensure they are looked after in their old age. However, the geographical distances between families due to internal migration have led to a shift in China’s traditional family values. China’s demographics, in part due to the former one-child policy, have also had an impact. Associate professor at the University of New South Wales’ Social Policy Research Centre, Xiaoyuan Shang, told the ABC China was expecting an upcoming crisis in the face of its growing aging population. Dr Shang said this was the consequence of unfair policy, as children working in cities were often unable to care for their ageing parents in rural areas. “They don’t even have commercial or state-owned aged care facilities, and they bear the heaviest social costs as a result of the country’s unfair system,” Dr Shang said. But it’s not only the elderly who are “left behind” — the next generation is also affected. According to China’s official statistics, nearly 100 million children under the age of 14 remained in rural areas while their parents worked in cities. “One-third of the children didn’t grow up with their parents, [so] the traditional value of family has disintegrated,” Dr Shang said. Dr Shang said the What’s Peppa trailer had gone viral because it aroused people’s sense of family. Audiences were touched by the video because of the lengths the grandfather had gone to in order to please his grandson, she said. Despite belonging to the one family, they existed in two different worlds. “People can feel the sense of family connection, because that’s what we all have in common,” Dr Shang said.